Black men in top management positions in South African companies are still keeping the boardroom doors closed to women. 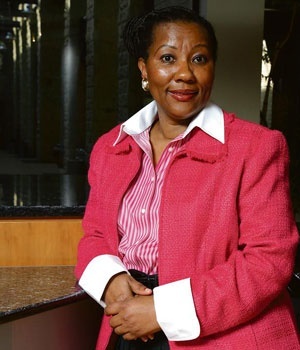 As co-founder and executive chair of Community Investment Holdings, chair of Afrocentric Investment Corporation and nonexecutive director at Adcock Ingram, Mokgokong opened her own doors in the corporate world. It was like an itch – the urge to start her own business – she says at her home in Waterkloof, Pretoria, between a meeting and another media interview. A navy blue Bentley waits outside to take her to her next appointment. She also talks passionately about the empowerment of female leaders in South African business. She says women excel in the fields of research and academia, but not in the business world. And yes, South Africa has more women in leadership positions and is moving in that direction, but things can go faster. She says the female struggle to really get to the top of large enterprises – instead of merely managing portfolios in public management or human resources – should not be racialised. Her home seems far removed from male corporate power games. Her feminine living room is filled with shades of cream and gold, with crystal and straw-coloured scatter cushions. There’s a grand piano in one corner of the room. We drink tea from porcelain cups with pink roses and talk while the photographer adjusts his camera over the new lights that are there to ensure “the children do not fall into the pool”. And yes, she says, you can and must be strong as a female leader. But what about the people who feel they will never be helped up again? Those who feel they no longer have a place or future in South Africa? “People who sit in a small corner and look very narrowly at everything feel like that. I believe South Africa embraces all races.